The sack of U.S. Secretary of State, Rex Tillerson, 12hours after his visit to Nigeria has been attributed to ‘chronic bad luck’ on President Muhammadu Buhari. 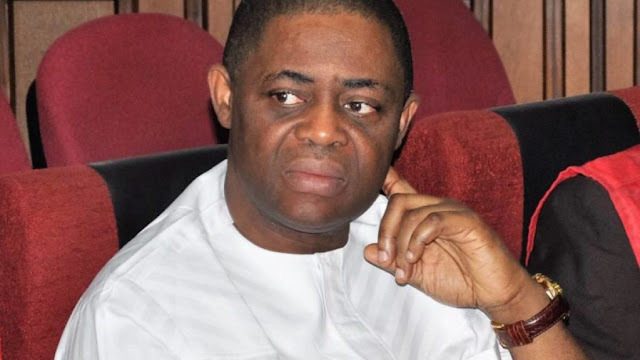 This is according to a former Minister of Aviation of Nigeria, Femi Fani-Kayode, who took to twitter yet again to give his two cents on the sacking of the U.S. envoy. The tweet immediately generated reactions from Nigerians; majority of whom condemned Fani Kayode’s tweet, describing it as hate speech. One Sade Olamide wrote, hinting that Tillerson’s sack carries a deeper meaning. “President Trump is sending a LOUD message to Nigerians and to the political elite. Unfortunately, our leaders have no knowledge of understanding the global rearrangement, etc.”, the tweet read.